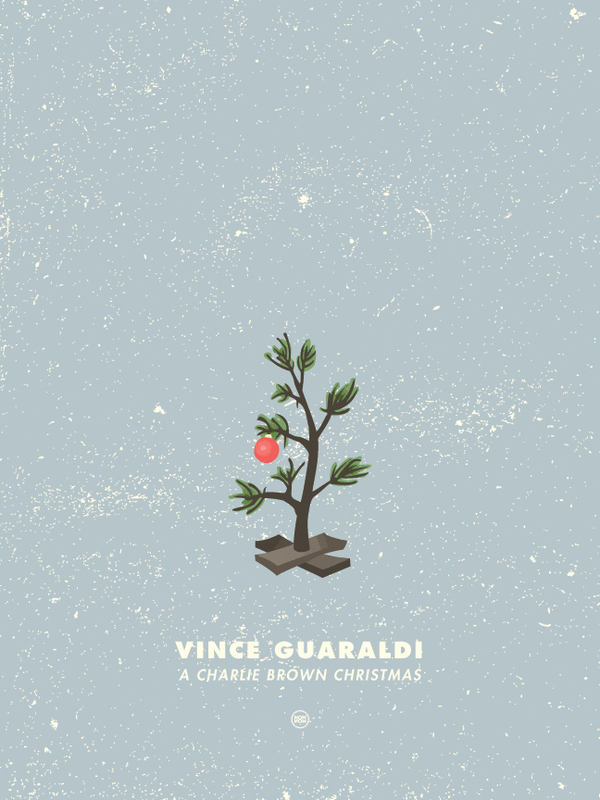 Vince Guaraldi is infamous for scoring the music for the Peanuts movies and television specials, not the least of which being A Charlie Brown Christmas, which just so happens to have become synonymous with Christmas itself, putting Vince Guaraldi in that category as well. This album is perhaps the most perfect Christmas music ever made. It’s at heart a jazz album, though I don’t think it’s recognized as one. Mostly because it’s voice is so much louder than just that. If this can’t get you in the Christmas mood, you’re a hopeless grinch. This is one of the most classic albums of any genre, of any time, and the fact that it’s a Christmas album just gives us something to look forward to every year. This is an absolute must own album. We’ve still got a few more weeks before Christmas, and you should be playing this throughout. 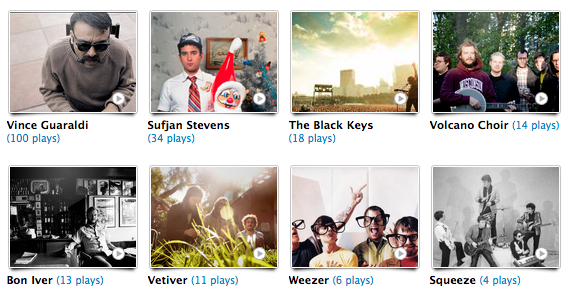 Sufjan Steven’s Songs For Christmas is the new classic, and between these two you should be set on appropriate Christmas music for life. Anyway, the iconic Christmas-tree-in-need-of-love seemed to be the perfect subject for this poster. I know these next few days can be very stressful, but try to relax and enjoy this very special time of year. This entry was tagged A Charlie Brown Christmas, art, bon iver, Charles Schultz, christmas, classic album, jazz, matt goold, Nom Now, peanuts, Poster, songs for christmas, squeeze, Sufjan Stevens, the black keys, tree, vetiver, Vince Guaraldi, Volcano Choir, weezer. Bookmark the permalink.